George Judd’s birth was registered in the third quarter of 1889 in Rugby. In the 1891 census George was aged 1 and lived with his parents Henry and (Eleanor) Annie and older sister Alice, aged 3, at 27 Union Street, Rugby. His Norfolk born father was a “Rural Letter Carrier”. By 1901 they had moved to 16 Winfield Road and father, Henry, was still a ‘rural postman’. In the 1911 census George was aged 21 and a carpenter in an electrical works. He now lived at 14 Winfield Street, Rugby (which may have been the same house that had been renumbered) with his parents and his younger brother Harry. His father was now a retired postman. He was one of the first Rugby men to join the new army, enlisting in the 2nd Battalion of the Rifle Brigade on 31 August 1914 as rifleman No. Z449, and left for the Depot on 2 September. The 2nd Battalion had returned from India, in late October 1914, and joined 25th Brigade, 8th Division at Hursley Park, Winchester and proceeded to France landing at Le Havre on the 6 November 1914. It seems that George was not with them at that date, probably still being ‘in training’ and was first posted to Queensbury Pier and then to guard duty at Munster, which duty was too important for him to receive any home leave. On 2 January 1915 he was drafted to go to the front, and entered into the French theatre of war on 4 January 1915. At this time he was about the only local man in the battalion at the front, but a few weeks later a considerable batch of Rugby men, nearly 600, were sent to join the King’s Royal Rifles. On the 10th March, at 8:05 am the 25th (right) Brigades of the 8th Division assaulted the German trenches on the north-west of the village. On 12th and 13th at Layes Bridge the 2nd Battalion Rifle Brigade incurred severe casualties from machine gun and artillery fire. On the 13 March the Germans kept up a sustained heavy bombardment, unaware that the attack had ended. During those actions the Battalion won two VCs. The action at Neuve Chapelle was called off on 13 March, however, heavy shelling continued. From 16th to 20th March, the 2nd Battalion were holding the line, until relieved by the 2nd Berkshires on the 20th March. George’s Medal Card states he had won the Victory, British and 1915 Star Medals. George is remembered on Panel 44 of the Le Touret Memorial at Armentieres, Pas de Calais and on the Memorial Gate, Rugby. Taken from Rugby Advertiser, 10 April 1915. 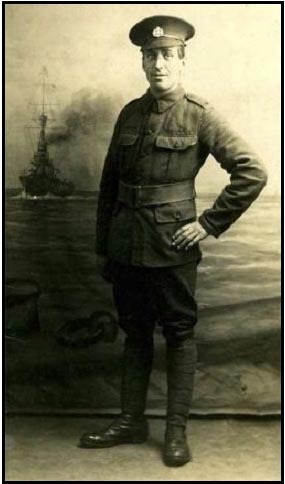 This entry was posted in Biography and tagged 1915, BTH, Judd, Rifle Brigade by Christine. Bookmark the permalink. George Judd is my maternal great uncle. There are several things in the article I did not know. Did the information comw from newspaper articles? Sadly my grandfather also lost his sister Alice in 1938. She died in the cloud of Iona sea plane disaster. We are glad you found the article interesting.